To allow game developers to take advantage of these new capabilities, NVIDIA also announced the NVIDIA GameWorks™ SDK will add a ray-tracing denoiser module. This suite of tools and resources for developers will dramatically increase realism and shorten product cycles in titles developed using the new Microsoft DXR API and NVIDIA RTX. 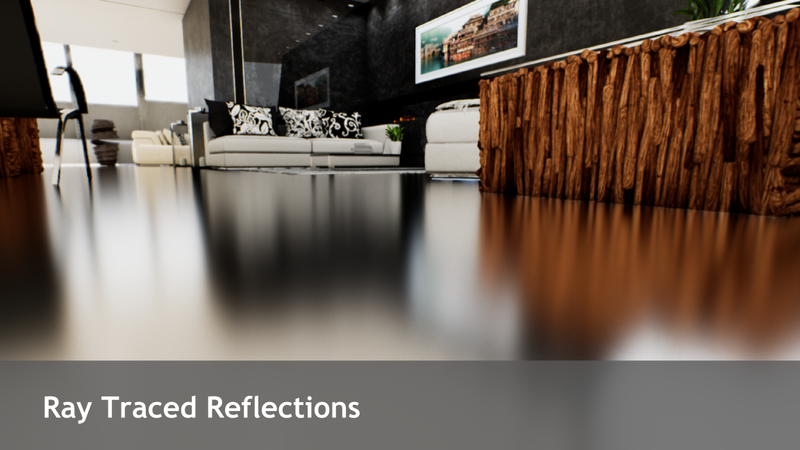 With these capabilities, developers can create realistic, high-quality reflections that capture the scene around it and achieve physically accurate lighting and shadows. Making these capabilities available on an industry-standard platform like Microsoft DXR means every PC game developer will have access to levels of realism never before possible. The Ray Tracing Denoiser is a set of libraries that enables fast, realtime ray tracing by utilizing denoising techniques. 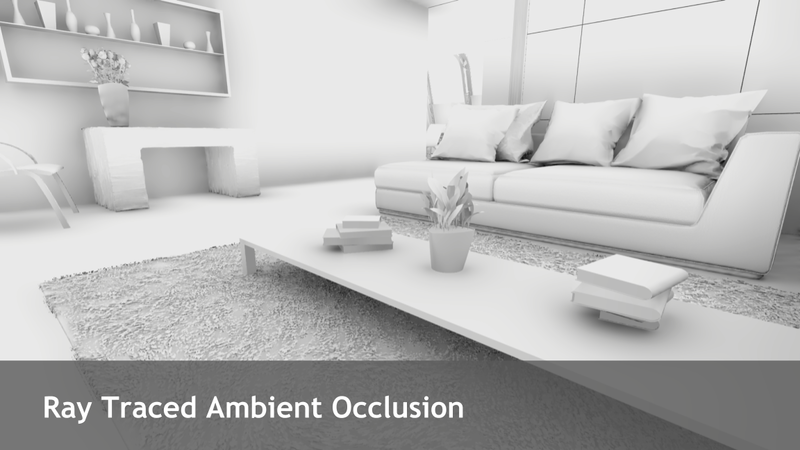 These include algorithms for ray traced area lights, glossy reflections and ambient occlusion. With low sample rates per pixel, you can achieve fast high quality results for inter-object reflections, high quality contact hardening and soft shadows without the artifacts of screenspace posteffects. NVIDIA Ray Tracing provides solutions for high quality graphics that leverage GPU computing capabilities. 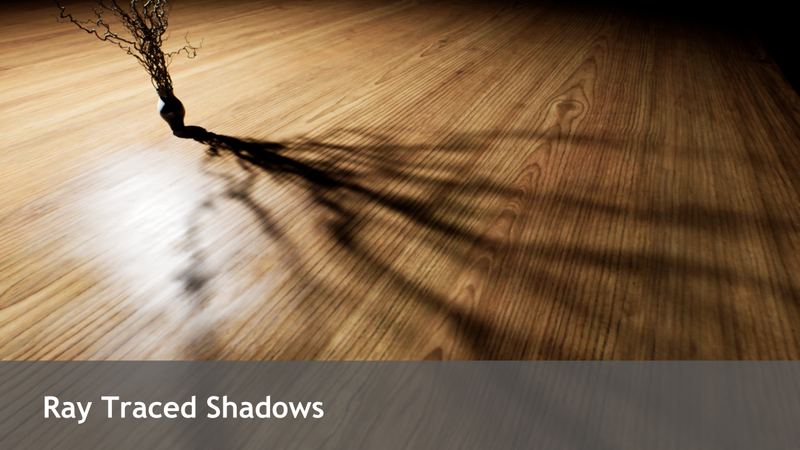 The upcoming GameWorks SDK — which will support Volta and future generation GPU architectures — enable ray-traced area shadows, ray-traced glossy reflections and ray-traced ambient occlusion.